2000 Electronic software running error, causing CPU reset. 2001 Power on or press the reset button. 2002 The 5V phase is less than 2.5V, and the system shuts down during power failure. 2100 Too much slippage of the wire rope in the same direction as the elevator. 2101 The wire rope running in the opposite direction from the elevator is too slippery. 2103 Unlimited floor count, which is inconsistent with the actual number of well floors or exceeds the maximum or minimum floor limits. 2108 The input sequence of 1LS is wrong, the elevator stops at the lower level, the DZ moves without 1LS signal, or the 1LS signal moves before the 1LS switch. It could be 1LS and 2LS working together. 2505 Communication timeout of MCSS and DBSS, or output buffer overflow. 2701 Five seconds after the operation of PREPARE to RUN or reset, the driver is not ready to run, and the time-out fault occurs. 2702 DBSS lock or release lock timeout. 2703 Received a DBSS drive failure from DBSS. 2710 The elevator wasn’t ready to run for five seconds. 2716 Wrong sequence of operation when changing from maintenance operation mode to normal mode. 2717 TCI ERO INS input signal is inconsistent. 2718 TCI startup is unsafe. 2719 In the maintenance operation mode of the car roof, the elevator operation beyond the end station causes an emergency stop. TCI curve parameter adjustment is not good. 2800 The relative overspeed of normal, repair, recovery, reinitialization, learning, or replanar operation exceeds the absolute overspeed percentage. 2801 Tracking errors caused by normal, maintenance and low-speed operation speed exceeding the actual speed and command speed are allowed. 2802 The operation direction from PVC feedback is opposite to that of the instruction. 2803 During normal operation, the actual speed of the elevator at 1LS/2LS exceeds the corresponding NTSD setting value. SHUTDOWN will resume after the elevator stops slowing down with a predetermined deceleration. 2804 The elevator did not start during the scheduled time (DDP time), resulting in a timeout error. There is no wellbore signal input for a predetermined period of time during normal operation or reinitialization. It is possible that the slip of the wire rope loses traction. 2805 U/D relay input error. The action of feedback contacts of U/D relay is inconsistent with the reverse operation of instructions. 2806 DBP relay input error. The feedback contacts of the DBP relay are inconsistent with the required actions, or the LVC input is inconsistent with the desired state of the lock bypass. 2808 SC relay input error. 2809 DFC relay input error. In the case of open door and no action by the door, DFC signal still has input. 2810 DBD signal input error. 2811 The actual speed of the elevator in SS1/SS2 switch action exceeds the set speed of ETSD. 2813 The elevator’s safety loop disconnects at the DFC input point causing an emergency stop. 2814 FSO/ASO relay input error. 2817 Error setting of CODE switch on electronic board. 2818 Logical contradiction in door area of electronic board. 0101EPOshutd The car can not operate in emergency power mode. 0102OpMmode DTC The door cannot be closed within a set time (without DCL, DFC or DW signals). 0103-DTO The door can not be fully opened within the set time (no DOL signal). 0104-DCP The car can not respond to the command signal in the car within a set time (e.g. the door is forced to open). 0200pos.Count When the system is running, the gate area and IP counts do not match. It may also be too short for the system to detect the gate area signal. 0202/DFC in EFR The ES signal is activated when the elevator is running fast. 0205 The elevator cannot be started due to the loss of SE signal (check the door bypass), and check whether the photoelectric of flat layer works normally: check whether SW6, SW7 and SW8 switches of the flat layer circuit of GECB board are all set in the position of ON; Check whether the photoelectric distance of 1LV and 2LV flat layer is within 30mm. 0207DDP in FR During the rapid operation of the elevator, there is no detection signal to the shaft (lost DZ signal) within the set time (DDP). 0208 DDP in SR Elevator at low speed running in the set time (3P) no radiance to the well signal. 0209 DDP in RS During the rescue operation of the elevator, no signals were detected to the well side within the set time (3P). 0219 This fault usually occurs when ADO/RLV function is enabled and TLD-DW-D(M1-3-1-5) is set to be greater than 0, usually set to 10. This failure will not occur when ADO/RLV is turned off. 0226 LS-fault 1LS.2LS signal is abnormal. 02281LS.+2LS on 1LS.2LS signals operate simultaneously. 0232 LSVF_:SC The speed of the elevator is too high during deceleration. ADO or RLV cannot be completed to open ahead of time. 0300DBP:dfc_SE When the door is open or the door has been fully opened, DFC or SE(ADO) do not move; When the door is opening or fully open, the door bypass is interrupted. 0301 not dcl—–d When the door is fully open, the DCL signal does not move. 0302DCS:DW err In DCS operation mode, when the door is open, the DW signal is valid or the car door is completely closed, the DW signal is invalid. 0304 Dol.alw.on F When the door is completely closed, the DOL signal is activated. 0306 HwyAccess F The door lock loop is closed, but the hall door loop is still disconnected. 0400 RSL parity Two remote stations are connected to the same serial line using the same address. 0401 RSL sync Synchronization signal lost on remote serial line. 0500 RNG 1 msg Data error on two or three elevator serial lines. 0501 RNG 1 time In a certain time did not receive from the other elevator group control signal, group control failure. 0502 RNG 1 sio Serial data format fault. 0503 RNG 1 tx Serial data transfer timeout. 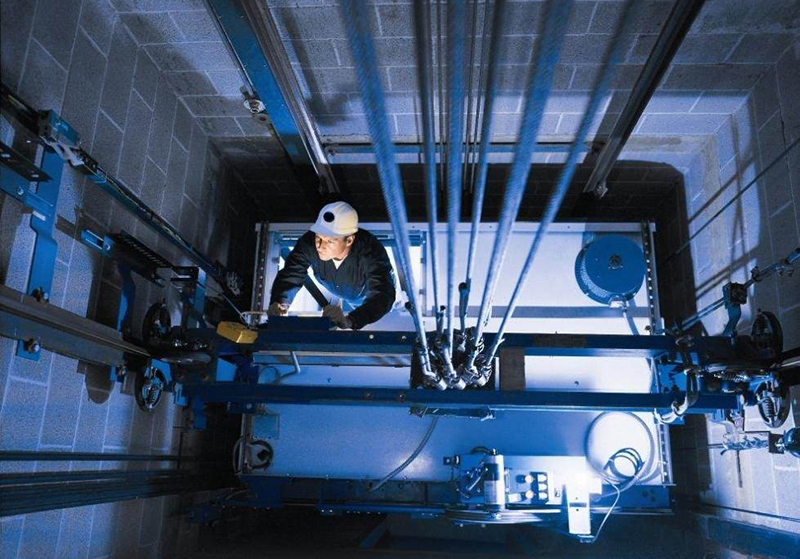 Scope of application: Vertical elevator with safety gear installed in ThyssenKrupp elevator, trapped by accidental action of safety gear. A. This appendix is for reference only. Please formulate corresponding emergency rescue methods according to the actual situation. Communication Equipment, Emergency Organization Address Book, Safety Protection Equipment, Hand Grinding Wheel/Cutting Equipment, Grab Bar, Warning Plate, etc. E. should ensure its own safety while rescuing. 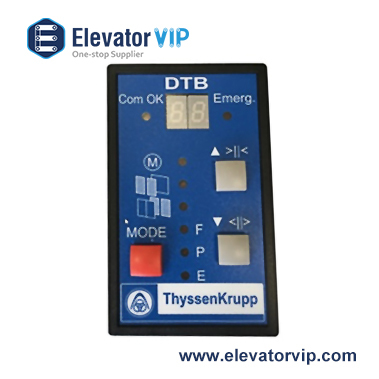 First, disconnect the main switch of the elevator to avoid accidents caused by the sudden resumption of power supply in the rescue process. Maintain communication with stranded passengers through emergency alarm device of elevator or other means of communication to appease stranded passengers. If it is confirmed that passengers are injured or that passengers may be injured, the 120 Emergency Center should be notified immediately and simultaneously so that the Emergency Center can take corresponding actions. 2. Cut off the main power supply of the elevator in the machine room. People can see if the wire rope and transmission wheel are normal, and meet the requirements of the operation of the winding car. 3. Confirm the car, aim at the position where the overlap is, and select the floor station where the elevator is ready to stop. 1). Rescue workers arrived at the top of the ThyssenKrupp elevator. 2). Set the overhaul switch of the car roof of the elevator at the overhaul position, so that the elevator is in the overhaul control state. 3). 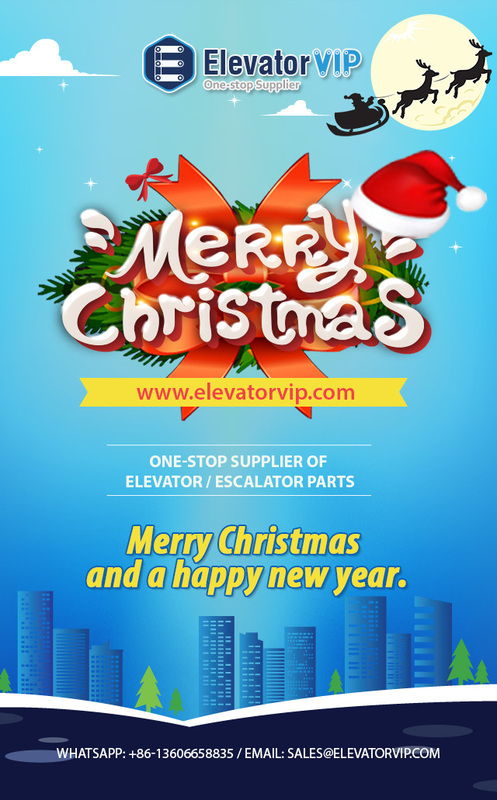 Connect the main power supply of the elevator, restore the speed limiter and the safety switch on the safety gear to make the safety circuit return to normal and the safety circuit of the floor lock to normal. a. If the car goes down, the elevator is operated upward by a point-motion mode to release the safety gear. b. If the car is up, operate the elevator downward by the way of pointing and release the safety gear. c. If the counterweight exceeds the speed limit, the elevator sedan car is operated downward by the point-moving mode to release the counterweight safety gear. When the wedge of the safety gear is off the guide track, the rescue personnel on the elevator car roof operate the elevator by a point-to-point mode, so that the elevator stops at the selected floor station, confirms the level, and notifies other rescue personnel to cut off the main power supply of the elevator in the machine room. After confirming the flat floor of the car, the rescue workers on the top of the elevator pan the door opening mechanism to open the elevator floor door/car door and rescue the trapped persons. Emergency operation can be used to open the floor door/car door after the car is flat and complete the rescue work..
ThyssenKrupp Diagnostic Tools (Elevator Service Tools) are many models, but today we are talking about POME, and DTB, the real pictures are below. 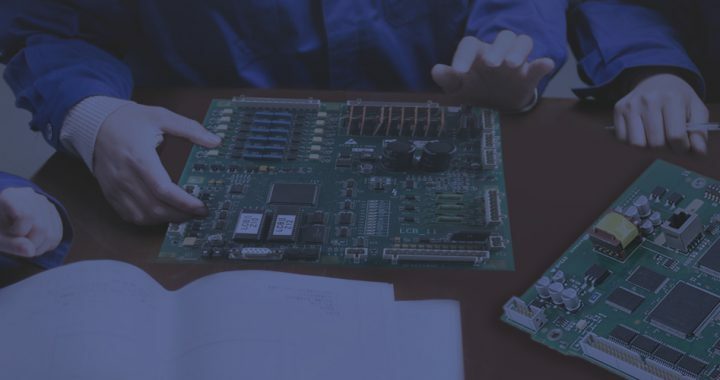 ThyssenKrupp Diagnostic Tools can be used for testing elevator MC2 circuit board, motherboard pcb board, door machine, and frequency inverter, etc. 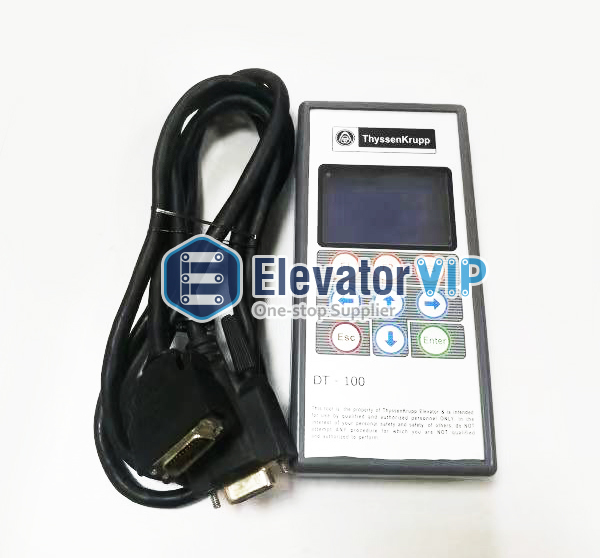 More about ThyssenKrupp Diagnostic Tools (POME, DTB), please contact ElevatorVip. Elevator safety gear is the part of elevator, which is the safety protection device for protecting elevator runs safely. Elevator safety gear is operated by elevator overspeed governor, the function is that stops the elevator car and holds the elevator car at the elevator guide rail in an emergency when the running speed of elevator car exceeds the set speed by elevator overspeed governor, or elevator suspension rope is in broken or loose situation. Elevator safety gear provides effective protection for elevator running in safe; usually it is installed on the elevator car or counterweight frame. 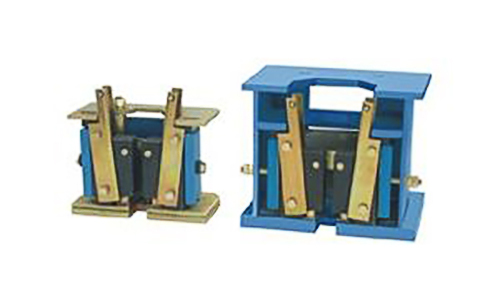 In accordance with the different structure of its brake components, elevator safety gear can be divided into wedge-shaped block, eccentric gear, and roller. According to stop distance, it can be divided into instantaneous safety gear and progressive safety gear. Why did the Elevator SIEI Frequency Inverter PG Card TL-EXP-E burn out? 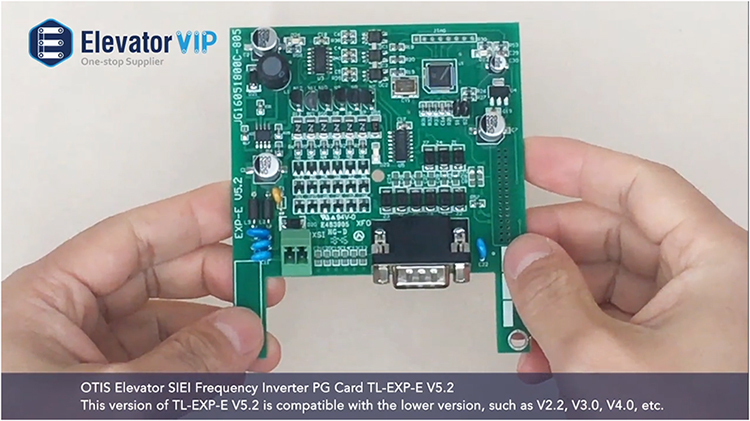 What is the function of SIEI Frequency Inverter PG Card? 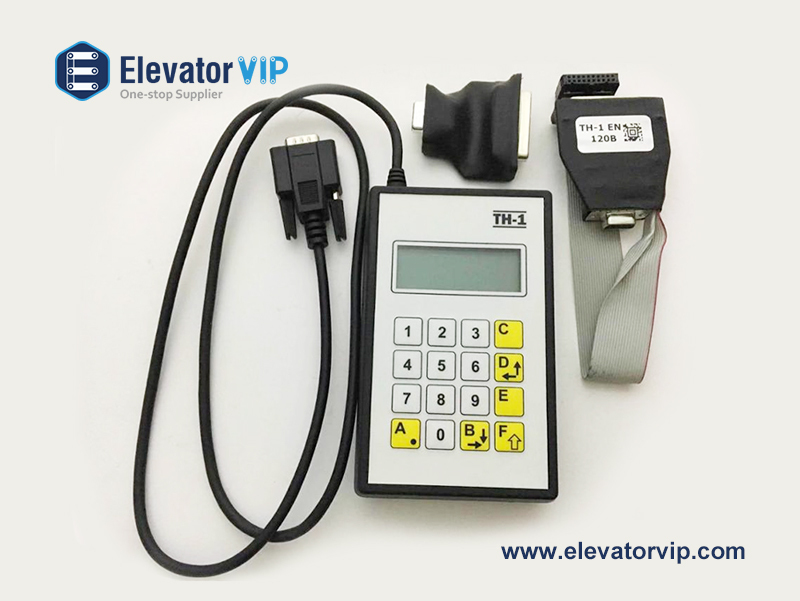 The SIEI Frequency Inverter PG Card TL-EXP-E is used to collect the signal and send the signal to encoder, and finally send to the elevator control system, so it is used to calculate the position of car in the hoistway. This version of TL-EXP-E V5.2 is compatible with the lower version, such as V2.2, V3.0, V4.0,etc. Now, the current versions that are commonly used on market have TL-EXP-E V2.2, TL-EXP-E V3.0, TL-EXP-E V4.0, TL-EXP-E V5.0, TL-EXP-E V5.2 etc. Why did the SIEI Frequency Inverter PG Card burn out easily? If the AB phase of No.3 and No.4 pins on the SIEI frequency inverter board, which is contacted with DC24 of No.2 pin, then the SIEI frequency inverter PG card will be burned out, or other case, The optical couplers on the motherboard are very close to each other, also the SIEI frequency inverter board will be burned out. 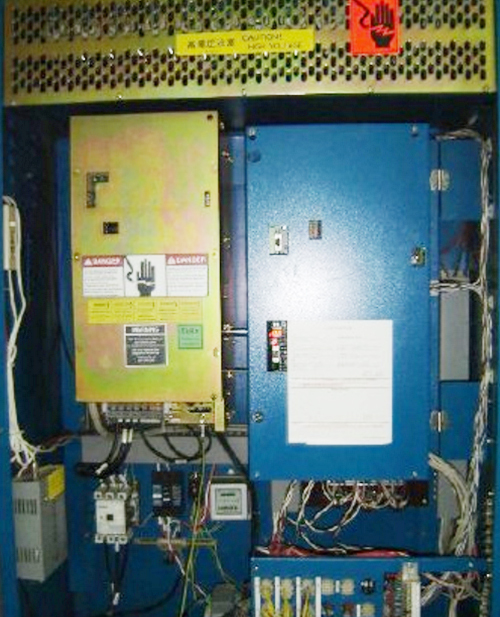 Where can I replace the Elevator SIEI Frequency Inverter PG Card TL-EXP-E? 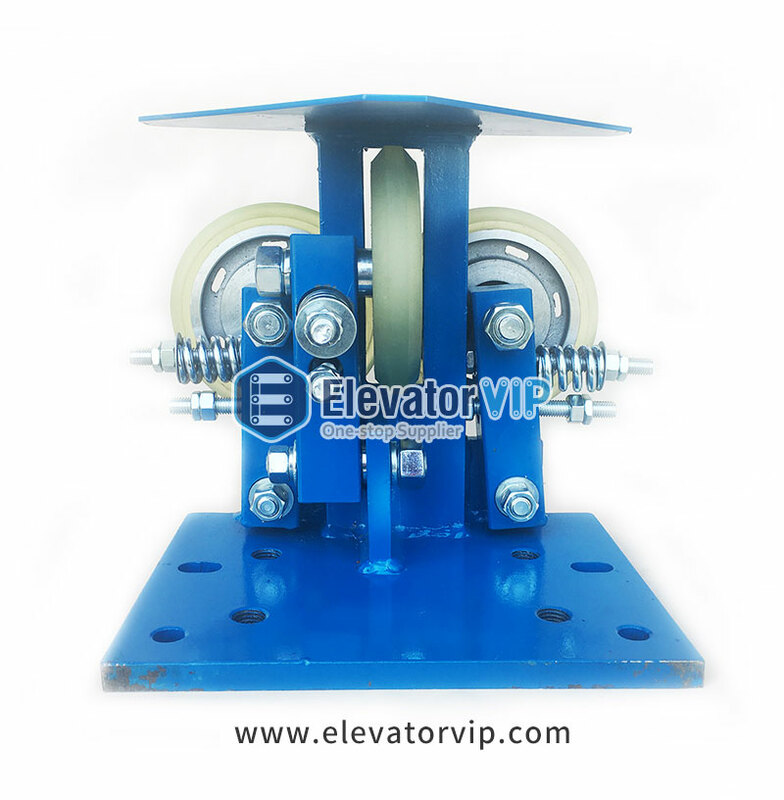 The elevator guide rail not only controls the movement of the elevator car and the counterweight, but also provides strong support for the elevator to be braked when the car has an unexpected overspeed. So elevator guide rail is an important part of elevator running under quality and safety. The quality of elevator running is good, or not, which depends on the quality of elevator installation, and also the quality of elevator guide rail installation depends on the quality of elevator installation. 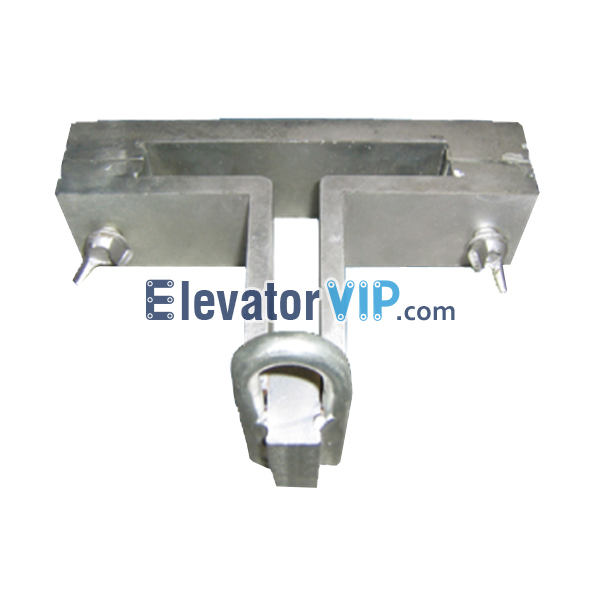 So we will analyze how to install the elevator rail bracket, elevator guide rail with best process for you.The elevator guide rail not only controls the movement of the elevator car and the counterweight, but also provides strong support for the elevator to be braked when the car has an unexpected overspeed. So elevator guide rail is an important part of elevator running under quality and safety. The quality of elevator running is good, or not, which depends on the quality of elevator installation, and also the quality of elevator guide rail installation depends on the quality of elevator installation. So we will analyze how to install the elevator rail bracket, elevator guide rail with best process for you. 1) If the elevator shaft is brick wall, concrete casting guide rail bracket is generally adopted with a depth of no less than 130mm. 2) If the hoistway is brick-concrete-structured or concrete ring beam, the guide rail bracket should be installed on the concrete ring beam. 3) If the vertical deviation of the hoistway exceeds the standard, the hoistway should be changed or use the rail bracket spacer for adjustment. 4) After the hoistway design is completed, the installation of guide rail bracket for each brand elevator will be different according to actual situation. 5) The long guide rail bracket will be selected when the hoistway size is larger than standard drawing. 6) The guide rail bracket is processed sequentially according to actual distance between guide rail bracket and hoistway wall. How to local the installation position of rail bracket? The installation position will be located according to center line and auxiliary line of rail bracket, and then do spot welding with level rail gauge. 1) Elevator guide rail and counterweight guide rail that is set with counterweight safety should be fixed on the solid ground base. The pit guide rail base should be kept horizontal, the levelness does not exceed 1/1000, and the height is about 60mm, and which is concreted around leveling with concrete. 2) To check the straightness of elevator guide rail and keep it within 1/6000, if the nonstandard guide rail should be adjusted or replaced. Checking the end of tenon whether all right, clear the tenon before installation. 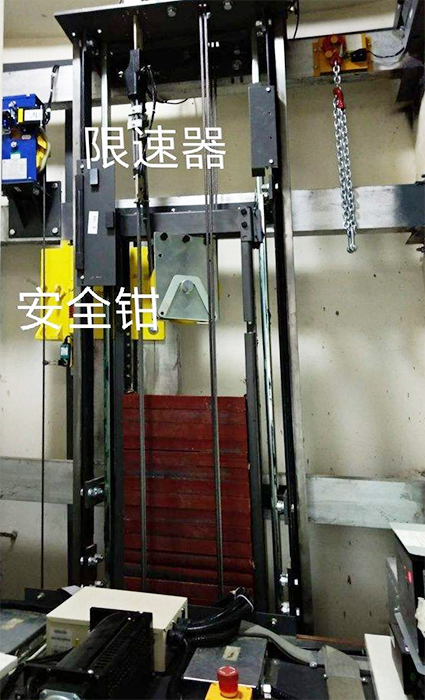 3) During elevator guide rail, use the winding machine to lift the guide rail, the last guide rail should be cut according to actual length before lifting. 4) After installation of elevator guide rail finished, the guide rail should be adjusted from bottom to top, if where any deviation is, correct it immediately. 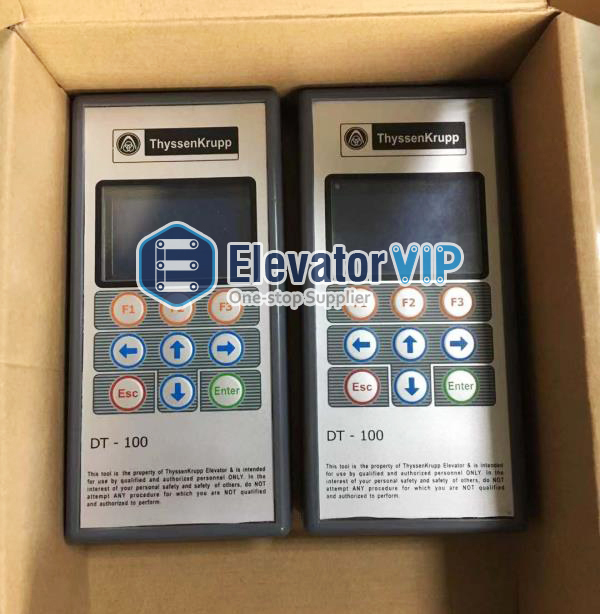 At present, the model of DT-100 Elevator Test Tool it has been off production, so many customers are looking for it, but it is very difficult. 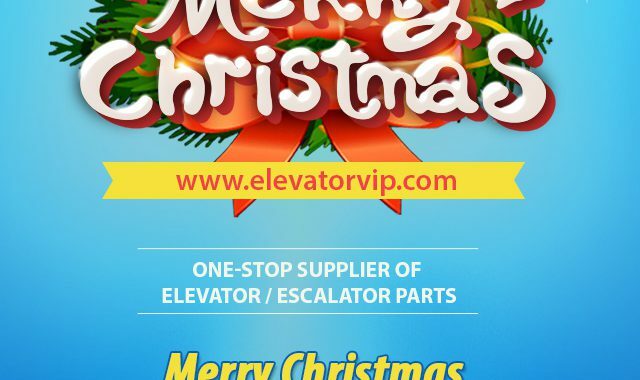 If you want to have one for your job site, please contact ElevatorVip soon. How to install and adjust Elevator Roller Guide Shoe? 1) Inspect installation situation of the guide rail, if there are some positional deviation at the step of rail or rail gauge, which should be adjusted before working. 2) Inspect interval of safety gear whether meets in the range of standard requirements, the interval between 2 blocks should not less than 2-3mm. 3) The bayonet of safety gear should be aligned with jaws center of roller guide shoe, the interval is between top plate of two slots and top of guide rail must not less than 5mm. 4) The roller of guide shoe should be perpendicular to the surface of guide rail, and the middle roller should be aligned with top surface of guide rail. 5) The maximum pressure of roller guide shoe should not exceed 25kg, and the pressure on each roller should not exceed 12.5kg, if the pressure could not be adjusted, then the car should be done the static balance and dynamic balance. 6) The residual oil should be cleaned after finished installation of roller guide shoe if there has, make sure there is no any oil on the surface of guide rail. A Christmas greeting and good wishes to you. Here is wishing you all a Merry Christmas and a New Year bright with joy and success.